Madurai is popularly known as the temple city which ensures to attract thousands of tourists across the world. Located in the South Central part of Tamil Nadu, Madurai has a good connectivity through the various means of transport. Moreover, the city holds a strong industrial background for various industries such as chemical, agro-based, logistics, information technology, textiles and much more. Recently, the mechanical industries in Madurai have developed to a global level which has more than 300 automobile spare parts dealers in the district. 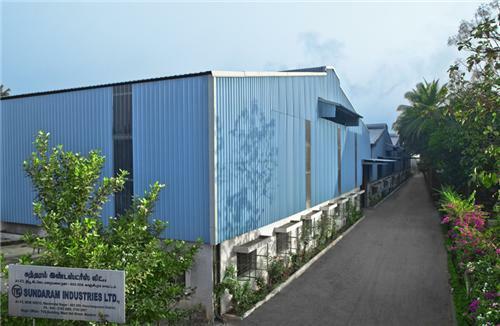 There are around 40 body building units established in and around the city of Madurai. Generally, the mechanical industries in the city include electronic component manufacturing industries, scientific instruments manufacturing industries, home appliances manufacturing industries and so on. One of the most important industries in Madurai is the automobile industry. The most important of all is the Sundaram Industries, a division of T V Sundram Iyengar & Sons Ltd and the the holding company of the TVS group is set up in Madurai. Get below the list of other automobile industries in Madurai. Electronic component manufacturing in Madurai also contributes significantly to the economic growth of the city. From electronic switches to circuit board, industries in Madurai manufacture it all! Madurai - 625 122, TamilNadu, India. Computer Hardware manufacturing industry in Madurai has seen a tremedous growth in recent years. The products are not only used within Tamil Nadu but distributed to other states and cities as well. electrical equipment manufacturers in Madurai that supply and manufacture high quality equipments. Dear sir ,i have done BE/Mechanical Engg. please give me the opportunity in job offer . Irusappankrithick997@gmail.comI Have completed Mechanical Engineering,Sree Sowdambika College of engineering in Aruppukottai.I Wish to work in ur company. I am good employee ur company. Dear sir,i am completed in B.E(mechanical engineering).i need a job offer. Dear sir, I am completed in BE.mechanical engineering. I want a job.